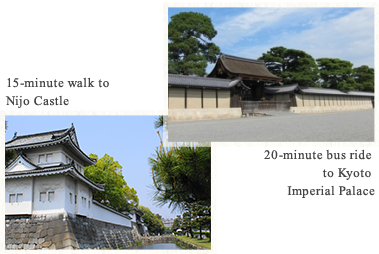 Urban Hotel Kyoto-Nijo Premium | Within walking distance from World Heritage Site "Nijo Castle"
Only a 15-minute walk to the World Heritage Site Nijo Castle, the hotel itself is located in the historical area of Nijo. The Kyoto Station is only 5 minutes away by train, so it is convenient for sightseeing around Kyoto. 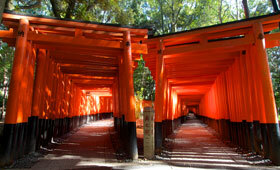 We hope you will enjoy your wonderful visits in Kyoto, the city of beautiful four seasons. Guestrooms using special materials make you feel "KYOTO"
We made special materials of Guestrooms inorder to the customers can feel "KYOTO". Warm lights are using design of "Kimono" and headboard of beds made of wood makes traditional atmosphere. The Simmons brand beds will provide you a good sleep. 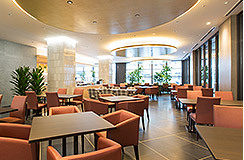 All rooms are designed by Kazutaka Nara, his designs are matching to our concept "historical city of kyoto"
In Café-Restaurant Lavender, We serve breakfast buffet, lunch services, cafe menus, and alcohol menus. 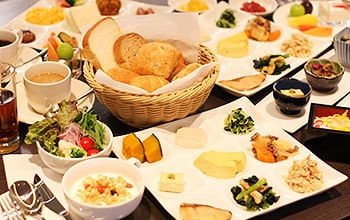 Please have a great time in modern-Kyoto style cafe with good foods. Eat well to enjoy your trip! We serve buffet style breakfast. 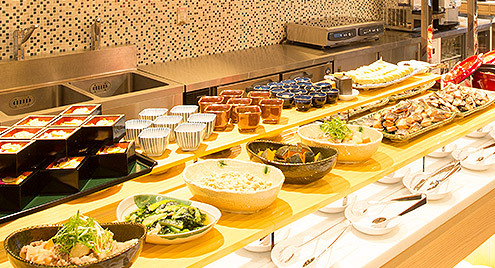 It has 65 different selections including Japanese menus such as obanzai or chirashi bowls as well as western menus such as fresh baked bread or scrambled eggs. 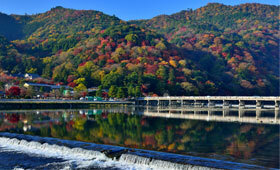 Arashiyama known for Togetsukyo Bridge and bamboo forests has numerous spots to enjoy the seasonal beauty of Kyoto. The vast precince of this shrine is filled with greenery. It includes 34 buildings and they are registered as national important cultual properties respectively. 31 structures, including the Romon gate, Maidono hall, Shinbukuden hall, and Four-legged inner gate are designated as national important cultural properties. 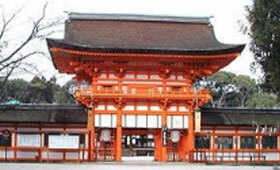 The 2 buildings of the main shrine are designated as national treasures. 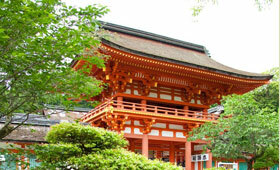 Most famous for representing the Higashiyama culture of the Muromachi period. 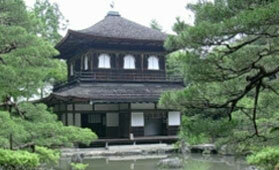 The simple, yet noble Kannon-den hall for the goddess of Mercy is a sight to see. 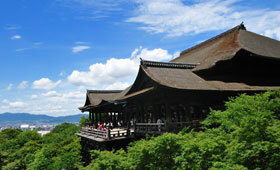 The shrine itself is originally known for god of merchants, but many visitors come to see it's amazing landscape.